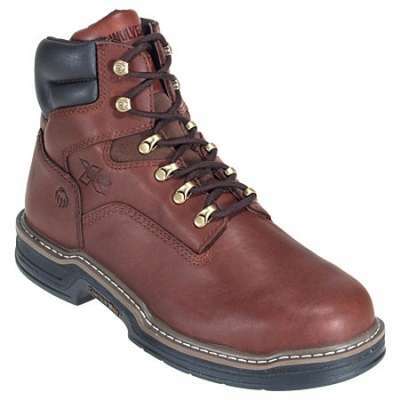 Dependable, durable, and original, these Wolverine 6683 Men’s Dark Brown Ingham DuraShocks Steel Toe Wellington Boots deliver easy styling that withstands the rigors of the everyday. 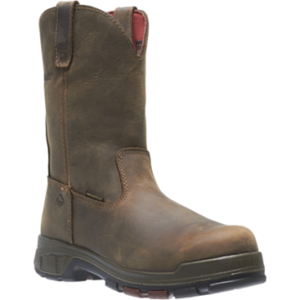 Crafted with full-grain leather uppers, the durability and stability of these Wellington-style Wolverine boots are downright awesome. 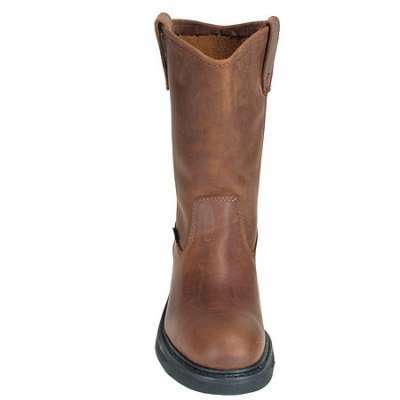 To attach these tan leather uppers to the sole, Wolverine utilizes Goodyear Welt construction. This process yields impressive strength while allowing for easy repairs. 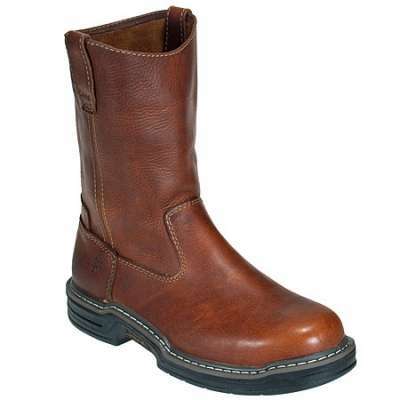 But, it’s highly unlikely any repairs will be needed on these steel toe boot’s soles. 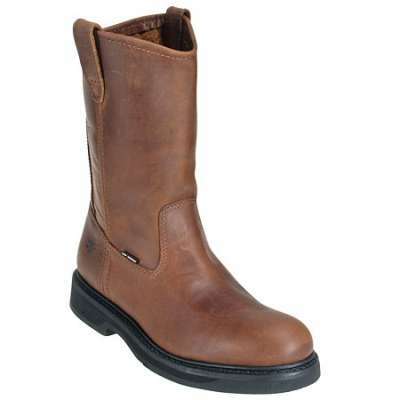 Durashocks polyurethane outsoles are slip-resistant to ensure stable footing. They are also oil-resistant to prevent corrosion from contact with chemical compounds. 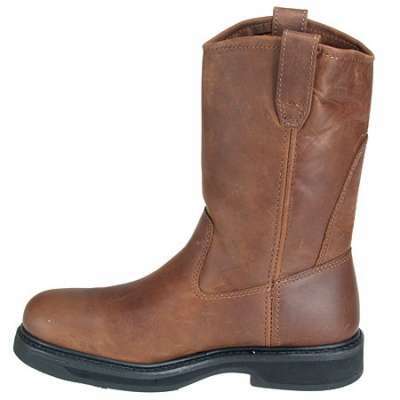 But the most impressive feature of the soles used for these DuraShocks boots is the Durashocks comfort system. The exclusive dual-density polymer pads absorb energy and shock. Combined with the removable full-cushioned footbeds, extended wear just got a whole lot more comfortable. For your protection, Wolverine doesn’t skimp on the goods. 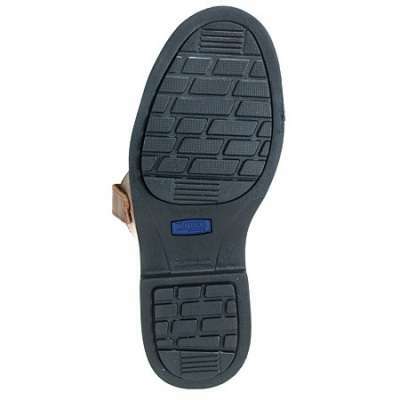 They incorporate an Electric Hazard rating to protect you from the dangers of open electrical circuits. 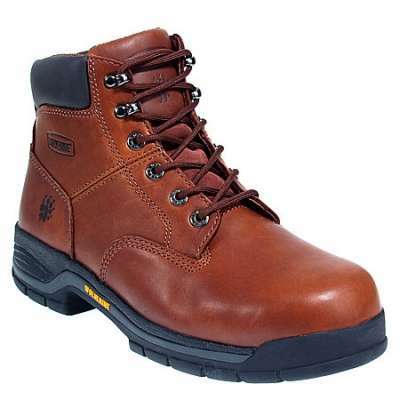 Additionally, ASTM F2413-11 M I/75 C/75 EH rated Steel Toes deliver outstanding frontal protection. 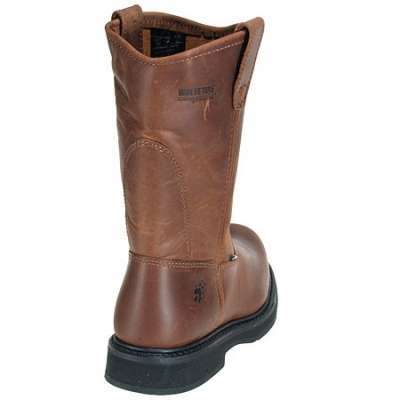 Pull on a pair of these tan Wolverine Wellington Boots for comfortable, easy wear that exceeds expectations. 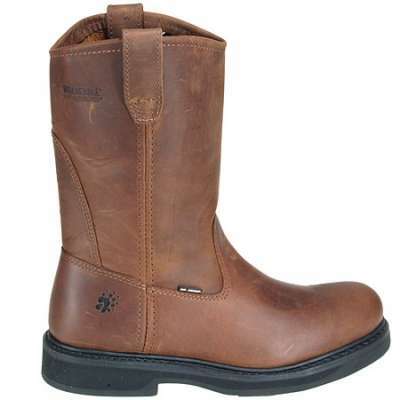 Wolverine 6683 Men’s Dark Brown Ingham DuraShocks Steel Toe Wellington Boots deliver the goods where they matter most: everywhere.